At Harbour Women’s Health, we don’t just care for you – we care about you. We are dedicated to providing you the quality care you deserve right from your very first visit. Our providers are friendly and easy to talk to. They will listen to your medical questions and concerns, and take the time to educate you on risks and benefits of relevant treatments. Our team of providers currently consists of eight physicians, two nurse practitioners and an ultrasonographer. We all share one common goal: to provide you with high-quality care you can trust in a comfortable, non-judgmental environment. All of our physicians are board certified and residency trained in obstetrics and gynecology; both of our nurse practitioners are also board certified. Our physicians provide obstetric and gynecologic services through Portsmouth Regional Hospital as well as the Ambulatory Surgery Center. Our providers are motivated in enhancing traditional medical care with alternative, holistic approaches and strive to meet each patient’s individual needs with the outmost respect and support. Dr. Emily Amarosa joined Harbour Women’s Health in 2014 and is passionate about being part of important moments in women’s lives. From a young woman’s first-time visit through childbirth and menopause, Dr. Amarosa enjoys providing a lifetime of care. Dr. Amarosa completed her undergraduate degree at the University of New Hampshire and her medical schooling at Harvard Medical School. She completed her internship and residency in OB/Gyn at the University of Washington Medical Center in Seattle. It was during her residency that Dr. Amarosa’s love of obstetrics and gynecology was cemented. From more challenging and serious patient conditions to the joy and bliss of watching parents meet their newborn baby for the first time, the pace and humanness of the field appealed to her and fueled her passion as a medical provider. 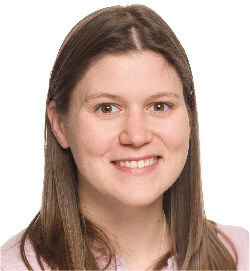 Dr. Amarosa has a particular interest in abnormal pap smears, care of women with heavy or abnormal bleeding and in minimally invasive surgical techniques. Dr. Amarosa lives with her husband, son, cat and beloved dog. She and her family enjoy four-season hiking, good coffee and picnic breakfasts at the beach. She also enjoys snowshoeing, reading, cooking and entertaining. Dr. Saroj Fleming is one of Harbour Women’s Health’s newest physicians and joined the practice in early 2016. Dr. Fleming completed her undergraduate degree at Wellesley College and her medical schooling at Washington University in St. Louis, MO. She completed her residency at the University of Maryland in Baltimore. She is originally from New York City. As a young girl, Dr. Fleming started dreaming about becoming a doctor. During her undergraduate career, she committed to study obstetrics and gynecology and began her journey to providing passionate care to women of all ages, including the honor and privilege of pregnancy care. During her time at Greater Lawrence Family Health Center in Lawrence, MA, Dr. Fleming welcomed the opportunity to provide family-centric care for a full spectrum of OB/GYN services. In joining Harbour Women’s Health, Dr. Fleming is most excited to provide care to those in her own community, both through the practice and our community involvement. As a Portsmouth resident, Dr. Fleming enjoys all that the seacoast has to offer with her husband, son and her first ‘baby’, a pet bunny. When not walking or bicycling downtown, she can be found tending her growing vegetable garden, on the beach, in the mountains, at Strawbery Banke or enjoying the children’s programming at the Portsmouth Library. 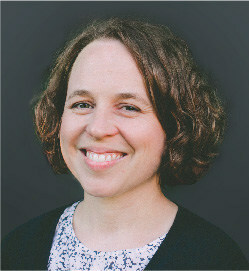 Dr. Heidi Keup joined Harbour Women’s Health in 2012. 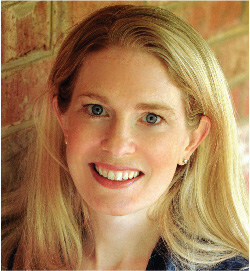 She completed her undergraduate degree at Columbia University in New York, graduated from Dartmouth Medical School in Hanover, NH, and completed her residency training at the University of Virginia in Charlottesville. 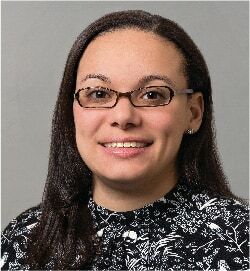 She is a member of the Alpha Omega Alpha Medical Honor Society and while at Dartmouth, was an Albert Schweitzer Fellow. Dr. Keup is board certified by the American Board of Obstetrics and Gynecology and is a Fellow of the American College of Obstetrics and Gynecology. Dr. Keup enjoys providing healthcare to women throughout all stages of their lives, including caring for them during pregnancy and child birth. She is enthusiastic about helping her patients understand all options available to them when making medical decisions. If surgery is required, Dr. Keup is experienced in both minimally invasive and conventional gynecologic surgery. 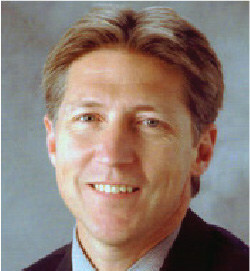 Dr. Keup grew up in Alexandria, Virginia and Grantham, NH. She loves living on the seacoast with her husband, two daughters, and beagle. Dr. Keup enjoys running, hiking, snowshoeing and listening to audio books. Dr. Sonja Nelson brings 20 years of experience in obstetrics and gynecology to Harbour Women’s Health. Dr. Nelson completed her undergraduate degree at Tufts University and her medical training at Tufts University School of Medicine. She completed her post-doctoral training in the Department of Obstetrics and Gynecology at The New York Hospital, Cornell Medical Center. Dr. Nelson began her career in New York City, where she worked alongside two obstetricians specializing in high-risk pregnancy. It was there she came to especially enjoy caring for women through these unique circumstances. Throughout her career, most of which has found her practicing on the New Hampshire Seacoast, Dr. Nelson has gained experience with reproductive endocrinology, high-risk OB patients and both major and minimally-invasive surgery. She counts delivering babies as one of the great joys of her job, especially as she is able to watch those babies – and their mothers – grow. Dr. Nelson lives on the Seacoast with her husband and two children. She enjoys spending time with her family and traveling. 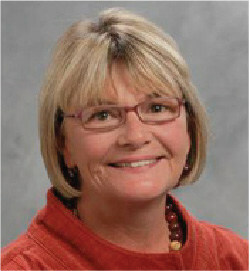 Dr. Caroline Scoones joined Harbour Women’s Health in 2012. Dr. Scoones completed her undergraduate degree, as well as her medical schooling, at Georgetown University in Washington, DC. It was during her time in medical school that Dr. Scoones says she “fell in love” with the obstetrics and gynecology specialty and, in particular, being able to care for women through all stages of their lives. Dr. Scoones’ specific areas of interest include delivering babies, performing minimally invasive surgery and a special interest in providing care for adolescent girls. Dr. Scoones is a member of ACOG (American College of Obstetricians and Gynecologists) and AAGL (American Association of Gynecologic Laparoscopists). Dr. Scoones grew up in New York City and spent time in England as a teenager. Dr. Scoones and her husband, who is also a physician, reside in Portsmouth with their two children. In her spare time, Dr. Scoones enjoys kayaking, skiing and hiking. Margot joined our Harbour Women’s Health team in October 2007. She came to us from a busy OB/GYN practice in Beverly Massachusetts, where she worked as a nurse practitioner for over 12 years. 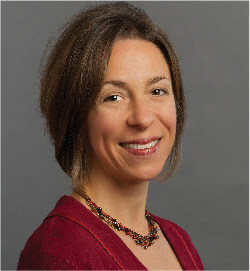 She received her undergraduate degrees from Northeastern University and Lesley University and received her Master’s degree and NP education from MGH Institute of Health Professions, graduating in 1995. Margot is Nationally Board Certified as a Women’s Health Nurse Practitioner, Adult Nurse Practitioner and is certified through the North American Menopause Society as a menopausal provider. One of only a few certified providers on the seacoast. Margot is able to see both OB & GYN patients, although she does not deliver the babies. She provides the majority of care of the prenatal patients at Families First of the Greater Seacoast. In her off time Margot enjoys spending time at her summer lake home in Maine. She also enjoys photography, rubber stamping, scrap-booking, cooking and entertaining friends. Dr. Mark Chag is a gynecology physician at Harbour Women’s Health. Dr. Chag received his undergraduate degree at the University of New Hampshire and then continued his medical education at the Medical College of Pennsylvania. He completed his residency training at Tufts New England Medical Center. In 2011, Dr. Chag was recognized with the Frist Humanitarian Award from the Hospital Corporation of America and honored with the 2011 NH Outstanding Clinician Award from the Bi-State Primary Care Association. Dr. Chag is certified through North American Menopause Society and as a Certified Clinical Densitometrist. He played a key role in enabling the practice to acquire accreditation from the American Institute of Ultrasound in Medicine and National Certification through the Maternal Fetal Medicine Foundation. Dr. Chag is a Fellow in the American College of Obstetricians and Gynecologists, and a member of several national and local physician organizations, including the American Board of Obstetricians and Gynecologists, the American College of Physician Executives, the NH Medical Society, the Portsmouth Medical Society, and Past Chief of Staff at Portsmouth Regional Hospital. He and his wife Deb enjoy hiking and other outdoor activities. In the summer, he enjoys spending time at the family’s lakeside camp. Dr. Deeptha N. Sastry is a specialist in Urogynecology at Harbour Women’s Health. Dr. Sastry completed her training in Obstetrics and Gynecology and then went on to complete a three-year fellowship in Female Pelvic Medicine and Reconstructive Surgery at the University of Medicine & Dentistry – Robert Wood Johnson, (UMDNJ-RWJ) Cooper University Hospital in Camden, New Jersey. She is the only fellowship-trained, double-board certified Urogynecologist in the seacoast. Dr. Sastry trained in the field of Urogynecology to be able to treat disorders, such as urinary incontinence, overactive bladder and pelvic prolapse. Many women find these issues are embarrassing and a hindrance to their quality of life, but now with advancements in technology, non operative and surgical solutions are now available! Being a woman, Dr. Sastry understands the issues that can arise with these afflictions; from helping life-long runners hit the road again, to reassuring patients that their conditions are not only treatable but quite common. Dr. Sastry offers a compassionate, understanding and highly-integrative approach to empowering and healing women. Dr. Sastry completed her undergraduate degree at Boston University and continued her medical training at St. George’s University School of Medicine. She is a member of the American Congress of Obstetricians and Gynecologists and the American Urogynecologic Society and earned distinction for her clinical research in Urogynecology from Cooper University Hospital. With a special interest in female reproductive health, she joined the International Healthcare Volunteers (IHCV) in a 2005 mission to Ghana, West Africa, where she performed surgeries, routine gynecological care and a variety of Urogynecological treatments for the women of Ghana. Dr. Sastry has been published in the International Urogynecology Journal and The Journal of Pelvic Medicine and Surgery, among others. Her publications include research and writing on Interstitial Cystitis/Painful Bladder Syndrome, Female Dyspareunia and on topics relating to female pelvic reconstructive surgery. Dr. Sastry enjoys spending time with her family, travelling and reading in her spare time. Trish has been a part of the Harbour Women’s Health team since 2002. She is Nationally Board Certified as a Women’s Health Nurse Practitioner, and has been in practice since 1993. She initially obtained a degree in psychology from the College of the Holy Cross in 1998, and went on to obtain her master’s in nursing and became a Women’s Health Care Nurse Practitioner in 1993 through the MGH Institute of Health Professions in Boston. Her care focuses on the importance of encouraging her patients to find ways each day to practice self-care and in doing so, to feel empowered to take important steps in reaching their healthiest goals. 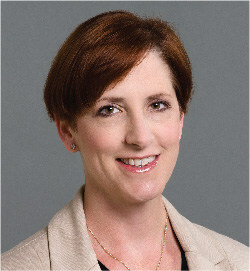 Trish has special interests in vaginal and vulvar disorders and pain syndromes as well as in the area of urogynecology. She works closely with Dr. Sastry and other specialists in these areas of female health care. Trish also loves working with our adolescent population. While living in New Jersey, she coordinated the women’s health services at the Montclair State University’s Health and Wellness Center, and opened a student based health center at a public high school in Jersey City, New Jersey. Trish enjoys spending her free time with her husband and three busy children – hiking, traveling or doing anything outdoors. She loves to garden, cook, practice yoga and in her spare time enjoys anything creative, most especially rug hooking, which she learned from her Nana.